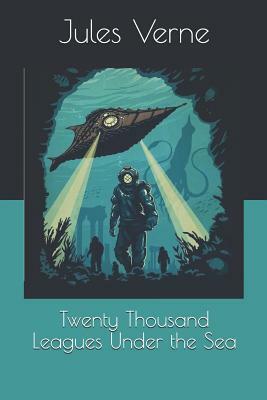 Twenty Thousand Leagues Under the Sea(Extraordinary Voyages #6)by Jules VerneFrench naturalist Dr. Aronnax embarks on an expedition to hunt down a sea monster, only to discover instead the Nautilus, a remarkable submarine built by the enigmatic Captain Nemo. Together Nemo and Aronnax explore the underwater marvels, undergo a transcendent experience amongst the ruins of Atlantis, and plant a black flag at the South Pole. But Nemo's mission is one of revenge-and his methods coldly efficient.